Lately I keep getting lost when I venture somewhere in the northern parts of Toronto. Before I leave, I make sure I have the address, check it out on Google and Mapquest and even ask for directions from the person I’m going to see. I might as well be wearing a blindfold. Is there some reason I’m not supposed to be travelling “up north in Toronto?” Or is there some other deeper reason, like maybe I’m feeling lost in some part of my life? To get around in life you need guides, signs and a healthy dose of paying attention – on all levels. As Dad was to riding the rails, Mom was to city transit. Travelling by the feat of my public transit savvy really began when Mom and I trekked around on Toronto’s buses, streetcars and subway. She was my guide. I just didn’t realize then how much of a guide. In the here and now, I had quite the “merry” journey trying to find my new opthamologist’s office. 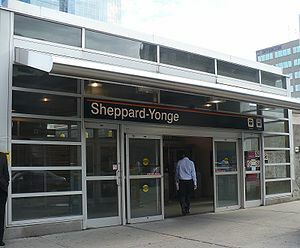 Armed with the online map printed out and the knowledge that I visited that medical building seven years before, I headed “up north.” When I stepped off the TTC bus and started walking towards the specific street I didn’t recognize the area – more tall buildings had sprung up. Okay. But I saw no street sign; however did turn and walk along that street until I decided I was in the wrong place, so headed back for the bus stop, boarded the bus back to where the medical centre street crosses the bus line. When I got off I had to take stairs down to this street and had no clue where to go from there. This street crisscrossed many other roads and street numbers didn’t help. I started asking others. An older lady going for a walk had to literally show me the winding way. Yup. You guessed it. I had been on the right nameless road before – if I had continued another block and a half I would have found the medical building. I arrived late. A couple weeks later when I headed to my new lawyer’s office – again in North Toronto – I had no trouble finding the building with its number big and bold on the side, which I saw once I could figure out how to exit the subway station. However, getting to the actual building proved a big problem as I came to an overpass but I stayed on the same street because that was the building’s address. As I neared the building I couldn’t see how to get from the sidewalk to the actual building as there was a slight hill with trees and grass up from the sidewalk to the building and no way in. I kept walking and finally found an entrance on a side street. I arrived late. Yesterday I had to interview an optometrist for a story I’m writing for a magazine. After lunch with my son and his girlfriend, they dropped me at a subway station before they headed up further north to visit Martin’s dad. This “getting lost” must be family-contagious because Martin took the wrong entrance to the subway drop off — yet he had been there many times before and said he always got the entrance wrong. Continuing in this vein, when I exited the subway, I started walking in the wrong direction. Because I was early I had decided to surface a stop before and check out a small shopping mall. I finally found it but when I wanted to go back on the subway I couldn’t find the passenger entrance to the subway, just the bus entry. I walked north a block and found the subway station’s back entrance. Because entry was automatic, I had to use my pass electronically and it didn’t seem to work – another passenger had to slide it through and, of course, the revolving door magically opened then. The optometrists’s office? No problem finding it or the mall it is in. I arrived 15 minutes early. I’m beginning to see a pattern here. As an only adult-child. out of necessity, I’ve become used to manouvering my way around alone. Obviouusly I need a guide like my late mom. The question is who? Sure, I did get lucky in a couple of the above instances and with the third (the lawyer’s office building) my own persistence paid off. Maybe the lesson here is to be open to help from unexpected resources. Certainly many of the expected ones don’t pan out. I ask my friends for help and sometimes I receive a no. True, they have their own lives to lead and unless they break promises made to me I can’t hold it against them. Or maybe the answer is to tap deeper into my own instinct and not panic. Especially as on my way to and from grocery shopping later yesterday my intuition was bang on about when buses arrived – including one showing up three minutes early. Or I could stay out of North Toronto. It’s cold and gray outside and the date is APRIL 19, not NOVEMBER 19. Some places, such as Calgary, Alberta, have snow. What happened to spring? I want to garden outside and am weary of contenting myself with almost daily tours to see if the tulip and hyacinth plants have grown another fraction of an inch and if there are any bulbs (a few, not open). The chives started poking above the ground late last week and I grab hunks of it to add to baked potatoes and other culinary creations. Then I do a tour of the inside-the-house plants – the coleus and others that I hope to place outside sometime this spring. It might have been the best year for my indoor plants but the jungle inside isn’t good enough for now. In April, when the first tulip showed its face in the flowerbed under the living room window, Mom had to get out in her garden and do her vegetable, fruit and flower business…. So on this April day in 1952, “Princess Sharon,” age three and a half, with arms crossed, stands between the hedges overseeing the family garden. Dad planted those hedges to separate garden and lawn, and I, his princess, am raring to go gardening. At my shoes, rhubarb sprawls to the left and right, like flat green feet extending from the bottom of the hedge. I’m wearing a cotton dress with large flowers scattered throughout the material and Oxford-like white shoes and socks. The garden itself appears bare and white like sand on a beach except for the couple bent over their shovels, turning the soil from back fence to hedge. I cart out my small shovel and dig in, but I make only small dents compared to Mom and Dad’s efforts. Mostly I hover, watch, and listen. (Excerpt from You Can Go Home – Deconstructing the Demons, copyright 2011 Sharon Crawford). In this April of 2011 I am certainly doing a lot of hovering, watching and listening. The latter for the birds – few and far between but I did see the first robin in late March. I also have the excavation by the side of the house (to fix the basement leak) to “hover, watch, and listen” over. But that work is almost done. And maybe I should be thankful the weather has been awful (except for a couple of days of warm grace) – otherwise I might have been ranting about not being able to get at all my gardening because of the mess of earth and tools all over my patio and some spreading out onto the back lawn. We were definitely spoiled last summer – the most perfect summer with weather beginning hot in April and lasting into the fall. Thanks to El Nino. What do we have this year? No Nino? Last summer I knew it wouldn’t last/couldn’t repeat itself and to savour it day by day. Maybe that’s the key. Find something special about each day and enjoy and savour it – one day at a time. After all I did start my tomato, pepper, nasturtium, marigold and peony poppy seeds indoors over the weekend. They and other plants will eventually get outside. And the tulips, hyacinths, pansies and chives are growing (slowly) outside. Patience is a virtue – one I never cultivated. They say a picture is worth a thousand words. So if you’re stuck or flying all over the place about what to write in your memoir, you might want to look at old family photos – one at a time. In my Memoir Writing workshops we do a couple of exercises with photographs. Some participants who don’t bring a family photo get to pick one of mine and superimpose their own family situations on it. And it is surprising what they can remember even with someone else’s picture. In one workshop, a woman was moved to tears looking at a photo of my parents and me in front of my childhood home. And that’s what we do with the first exercise – no not cry, well, not at first. We look at the photo and list the memories it evokes and the feelings we experienced with it. As we do this we can ask ourselves questions as prompts. I list the memories and their emotions on a flip chart and we talk about them. In the next exercise we write the actual scenario as it might appear in a memoir using both narrative and dialogue and our own unique style. That is, if we haven’t done that in the first exercise which often happens. This means the photo has really sent us deep into our memories. Then we read some of them out loud. Many are very powerful. Dad – How does he appear? Like a guard to the rose garden. Old, like he was my grandfather. Emotions/feelings: love, security, and even sadness (at both my dad and the rosebushes long gone. The deeper emotion is that it is all in the past, all gone, except from memory and the photo). I stand beside my mother and nod a “hello” to Mr. Swenge. Old, heavyset, and banished outside by his wife so he can smoke, he stands silent in his driveway on the other side of the fence. Between puffs on his cigar, he nods, and continues to stare at us. He gives me the creeps; he’s like a harbinger of what’s to come on our side of the fence. 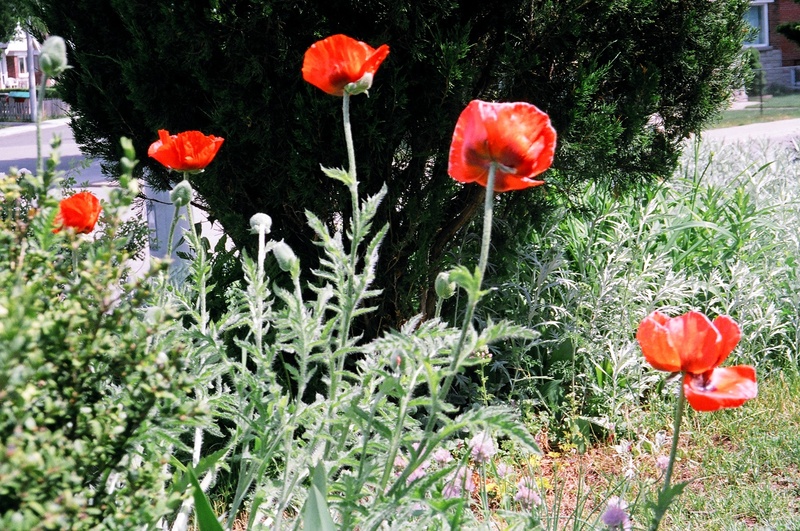 I stick my nose in the rosebush, but all the sweet flowers in the world won’t overpower the cancer connection with smoking. The multiple rosebushes and the other scented bushes seem like a rectangle of protection my mother’s subconscious dredged up. However, smelling the flowers doesn’t keep the black spot from attacking my Dad’s lungs and brain. Why are daffodil sales used to collect funds for cancer research? If it’s their colour, yellow, supposedly the colour of healing I can tell these researchers that it won’t work. Although yellow is the colour of the radiant sun, the yellow roses, forsythia tree and tulips my mother grew didn’t keep cancer away. When I combine the paltry results of my mother’s tulip-bulb planting, the life cycle of the forsythia (yellow flowers first, leaves second), the roses (red, rose, pink, white and yellow), maybe mother’s garden was sprinkled with omens of the disease and its future colours of hope. Certainly the cause permeated throughout, not just the neighbour’s cigars, but the cigarette and pipe smoke my Dad inhaled and exhaled. As a garden grows based on what you put into the soil, so can cancer grow from what you (or your environment) put inside your body. As you can see I got carried away into the narrative. Everyone’s memories and narrative will be different in perspective and in what actually occurred. Even with common denominators such as the writer’s age, era he or she grew up in, etc., something will differ. And the telling will also be different – it could be humorous, serious (or both) filled with dialogue, mostly narrative, told in present tense, told in past tense, perhaps include some poetry, and the emotions can range from anger to laughter to sadness. The characters will all be unique and the situation will come from your memory and your perspective in looking back. So haul out an old family photo, immerse yourself in it, and start writing. Last week I got the green light on my eyes. In December I had finally, after six years, had my eyes tested by an optometrist. It’s not that I hate wearing glasses. I inherited both Mom’s and Dad’s bad eyes – the duo of myopia and astigmatism and have been wearing glasses since age 21. You see, when you get into bifocals (add the reading glasses part) the cost of glasses increases. As a freelance writer, editor and writing instructor, I am faced with a dilemma – I need glasses to see to work but I also need the money to pay for them. With house repairs, new computer equipment, professional organization fees, and other bills pouring in, eyes and glasses hit the bottom of my “must do,” list. Until late last year. 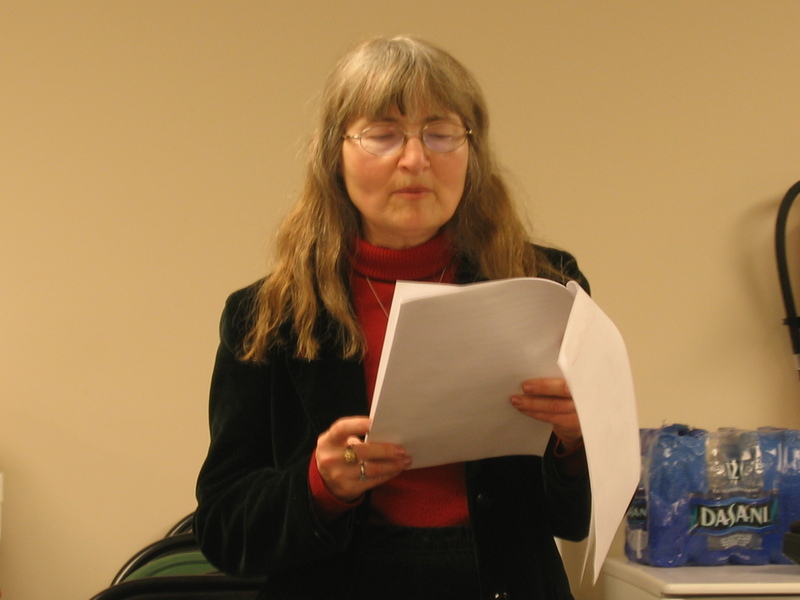 When I stood up in front of other Canadian Authors Association Toronto branch members to read from my novella (Fire Underneath the Ice, co-authored with Rene Natan under the pseudonym R.S. Natanevin and yes, available at amazon.com) and had to remove my glasses to see to read, I knew it was time. I could no longer function with these badly-designed glasses (the reading part covered only one-sixth of the lens at the bottom and the left lens was scratched). So, I got new glasses and cool sunglasses which did wonders for my sight but not my purse. However, the optometrist found something disturbing – white clouds in the cornea or cornea opacity in both eyes. He arranged for an appointment with an opthamologist but the earliest date available was March 28, 2011. Three and a half months to worry about whether I’d need laser surgery, pills, prescriptions or a corneal transplant. And listen to some of my friends’ opinions, including I needed to see an opthamologist now. We freelance writers getting up there in age have to consider our health – and what will pay for it. 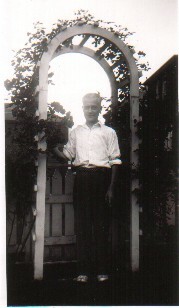 When my father had his surgery for lung cancer in 1958, there was no healthcare in Ontario, Canada. Mom had to foot the bill for his surgery and hospital stay. Today, there is healthcare in Canada (since the mid 1960s). Coverage is supposed to be universal across Canada but isn’t. In many provinces, some medical options once covered have been kicked out. Some, such as eye examinations kick in again when you are 65, but not the glasses – they’ve never been covered under universal healthcare. And if you have feet problems, forget it. Orthotics are expensive and visits to podiotrists add up. There are supplemental insurance plans, including for freelance creative people, but have you looked at the premiums? And the coverage is only 80 per cent. Everything is a la carte and when you tally up dental, eyes, feet, back, etc. you might as well do what my dentist once said, “The insurance is too expensive. Better to visit the dentist and pay the cost once a year.” That was over five years ago and the dentist is on my “health waiting list,” waiting as in when I have the money or hit emergency – whichever comes first. So I do this looking-after-my health in levels based on biggest need. I have nine health problems (the ninth is stress over the other eight). The latest biggie, the eyes, I had to face last week. And I was scared. Many times I considered cancelling or postponing the appointment and when I lost the opthamologist’s business card I wondered if that was a sign to do so. But I’d bookmarked her biz info on the Internet, so a quick call to the office confirmed time, date and yes, it was covered by OHIP. So I showed up – late – I got lost (that’s another story for another post) but despite the crowded waiting room and the ranting patient ahead of me to sign in, I decided to keep my politeness – unless I got bad news. I didn’t. After waiting 45 minutes (I brought a book to read) I got in for the first check. Then the dreaded drops were put in my eyes and I had another half hour wait (this time not reading). After going through my eye history with the opthamologist and her checking my eyes, the verdict was some scarring on the corneal but it doesn’t affect my eyesight (thanks partially to those great glasses, no doubt). She figured I had some injury or infection – maybe as a child (I don’t remember) and that has caused the scarring. I have to see her every two years and the optometrist annually, but the rest of the “prescription” is to always wear my sunglases when out in the sun, wipe over my eyes with a wet washcloth each evening ( to remove any bacteria) and of course, keep the glasses clean. Whew! Now, I have to save up to pay for the two pairs of glasses. I got on a plan at the optician’s; I have until December to pay. And they had a half-price sale when I purchased my glasses. Some medical obstacles you can work around. I’ve learned the importance of not giving up no matter what the chatter from others.